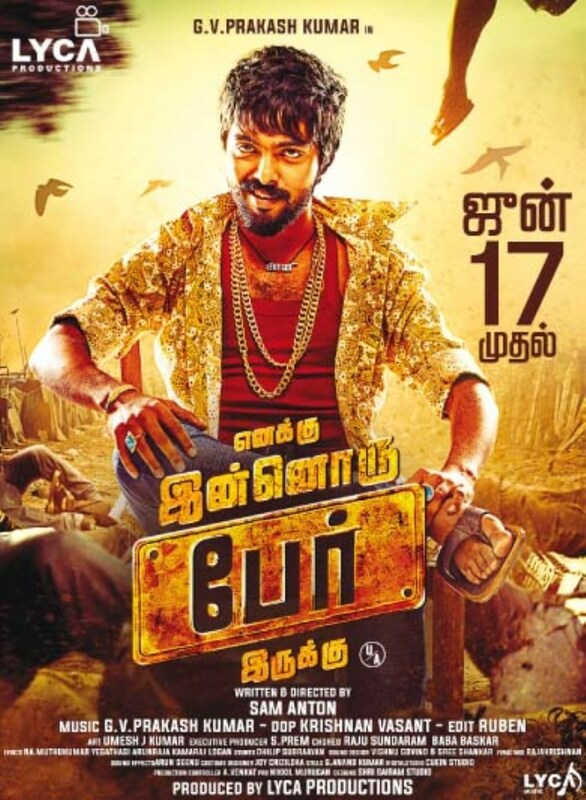 Actor GV Prakash Kumar & Actress Anandhi starring Enakku Innoru Per Irukku Movie Release Posters. Directed by Sam Anton and Produced by A.Subashkaran under Lyca Productions. VTV Ganesh, Rajendren, Yogi Babu, Saravanan, Mansoor Ali Khan, Karunas, Ponnambalam in other cast.